The final events to take place before the Easter half-term were the JESS Cluster Aqua Festivals on the 27th and 28th March. Pupils of all swimming abilities from Clapgate, Sharp Lane, Low Road, Windmill and Hunslet St. Mary’s took part in a variety of fun and exciting races. As well as the conventional races such as freestyle and breaststroke the Aqua Festivals included races such as the egg and spoon, beach ball and body board events. After the races had concluded the pupils enjoyed half an hour of play time in the water whilst the CJCA Sports Leaders took a deserved lunch break. To conclude, there were water polo tournaments to bring each festival to a close which were again, competed with excellent sportsmanship and effort. On day one it was Windmill who came out on top against their Music Federation rivals Low Road with Sharp Lane narrowly edging out their neighbours Clapgate on day two. Thank You to all the class teachers and their pupils who attended on the day for their hard work and endeavour to ensure our first JESS Cluster Aqua Festivals were a success! 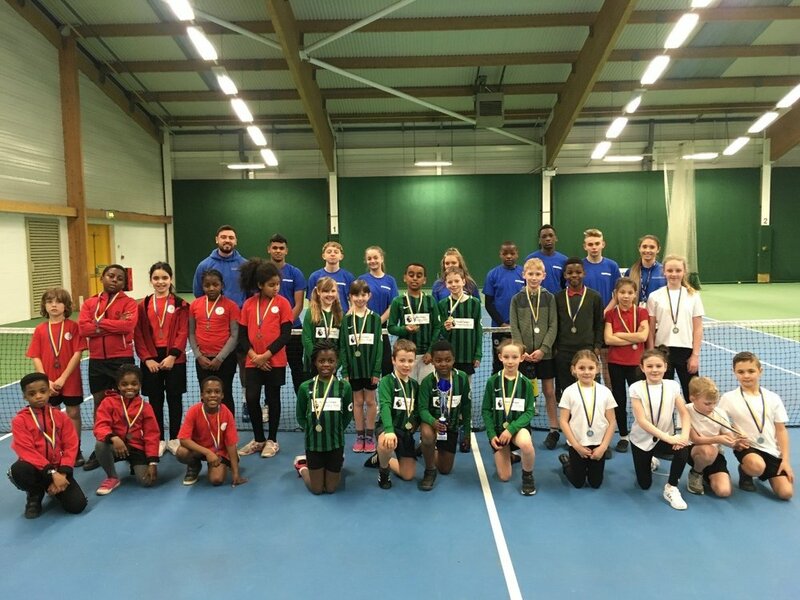 The JESS Cluster Primary Sports Programme started 2019 in style with the mini-tennis tournaments taking place at the John Charles Tennis Centre for the first time. On night one it was Hunslet St. Mary’s winning their third straight competition as Clapgate narrowly pipped Ingram Road to take the Silver. Night two was even closer with countback on head to head having to separate Low Road and Beeston, with Low Road emerging victorious. Once again the Sports Leaders of CJCA were essential in each event, umpiring every match and ensuring each event ran efficiently and professionally. As always it is important to thank all the staff and children who attended from our JESS Cluster Primaries as well as John Charles Tennis Centre, in particular Rob Ratcliffe, for organising two excellent events! The JESS Cluster Primary schools were back in sports action at CJCA Couple of weeks ago, competing in the KS1 Handball events. On Monday night it was Hunslet St. Mary’s who took the Gold with New Bewerley in second and Windmill in third. Tuesday’s event saw Sharp Lane take top spot two wins and one draw from their three games, narrowly topping Ingram Road in second. Low Road and Hunslet Carr each took Bronze medals home after finishing joint third. Once again the pupils did themselves proud with excellent displays of sportsmanship as well as demonstrating the skills they have been learning in their GOLD Package lessons. Merry Christmasand Happy New Year to all the JESS Cluster Primary staff and pupils from CJCA and we look forward to seeing you in the new year for the mini tennis events! Cockburn John Charles Academy hosted the Shield and Trophy Finals for the JESS Cluster Primary Programme this week, with Beeston Primary crowned the overall champions. Monday saw Hunslet St. Mary’s begin their introduction into the Cluster with entry into the Shield competition and it was they who came out victorious ahead of Low Road in second. St Mary’s demonstrated some powerful running and athleticism and will surely be challenging for more silverware in the upcoming events. The most impressive display of the night however, came from third place Clapgate who demonstrated excellent baton technique in the relay and posted a score of 114 points; 28 points higher than their effort in the heats. The Trophy final, in which the highest placed schools from the heats competed, took place on Wednesday 17th October. The atmosphere was deafening with pupils from Sharp Lane, Windmill, Ingram Road, Beeston and St Joseph’s all cheering on their schools to take first place. Sportsmanship, ability and competitiveness was on full show throughout, with pupils and staff representing their schools with pride. Once again the Cockburn John Charles Sports Leaders took control of the event; demonstrating techniques, measuring distances and inputting scores. Only 4 points separated third and second, with the Music Federation taking another Silver position as Windmill pipped St Joseph’s but it was Beeston who took the Gold with a huge score of 192 points. 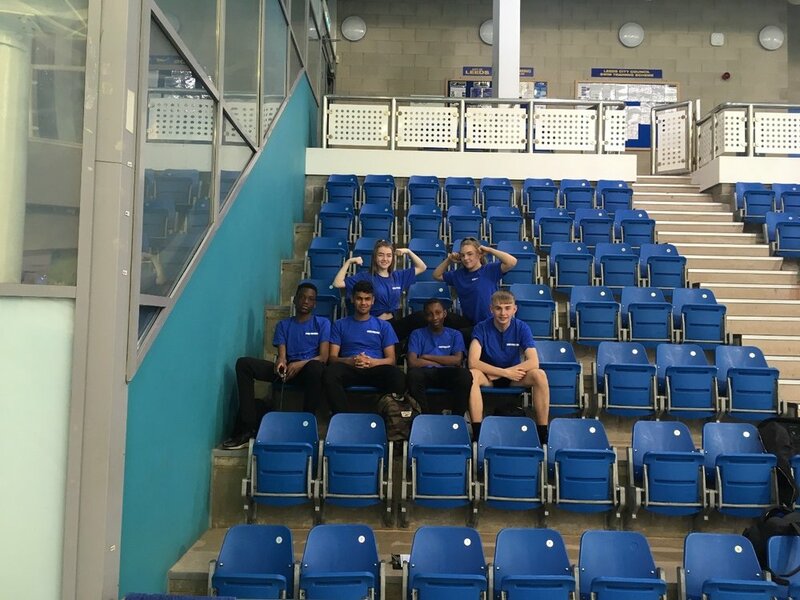 A big thank you to the staff for giving up their time to attend the events and the sports leaders for helping to ensure they ran smoothly. Most of all thank you and well done to the pupils of the JESS Cluster schools for competing and displaying the Cockburn John Charles values and expectations in the process. I look forward to seeing you all again at the next event! A credit to the PE Dept and School. Without your continued support the School Games & School Sports Partnership it wouldn't be the success it is!! Wish you the very best of Luck!! The second JESS Cluster Sports Hall Athletics took place on the 26th September 2018 with another fantastic display of ability and sportsmanship. On this occasion it was Windmill who took first place with Ingram road runners up ensure their place in the Trophy Final on the 17th October. Once again the hard work of Cockburn John Charles’ Sports Leaders enabled the event to run smoothly and efficiently. On this occasion there were over 20 leaders on hand; a fantastic show of dedication and hard work taking place in the academy. A big well done to all involved. Keep up the hard work in lessons to improve on those scores at the next event! The first of four JESS Cluster Sports Hall Athletics events got underway on the 24th September 2018 with Hunslet Carr, Low Road, Beeston and St Joseph’s primary schools all looking to book their place in the JESS Cluster Trophy Final. The event once again took place at Cockburn John Charles Academy and delivered yet another exciting evening of athletics. The effort and sportsmanship on display was fantastic resulting in Beeston and St Joseph’s racking up 150 points each to take joint first and a place in the Trophy Final on the 17th October. 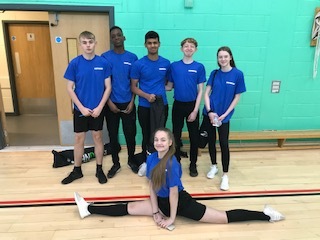 As well as the fine effort from all competitors, the hard work of Cockburn John Charles’ Sports Leaders did not go unnoticed; helping the event to run smoothly and efficiently. A big well done to all involved and massive thank you to Mrs Holdsworth for taking a leading role in the event. I look forward to the next event on Wednesday 26th September where Clapgate, Sharp Lane, Ingram Road and Windmill will battle it out!